Like last year, I’m going to get a real tree for my apartment again. As I anxiously wait for Saturday to come which is when H&M Christmas Tree Farm opens for the season, I thought I would make a new ornament to add to my collection. 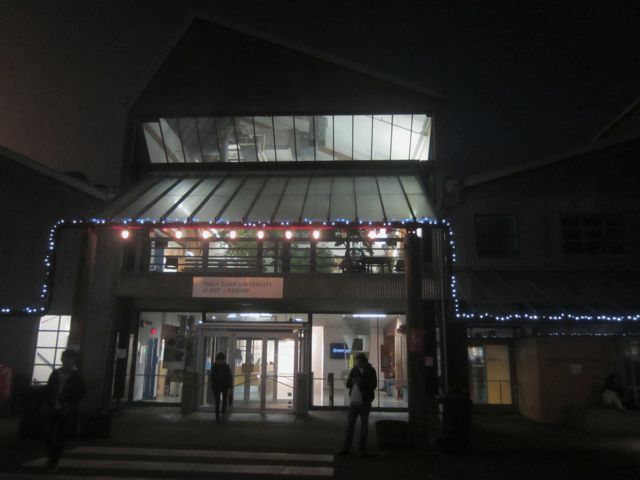 Hence a trip to my favourite Vancouver art store I’ve mentioned before, Urban Source on Main Street. 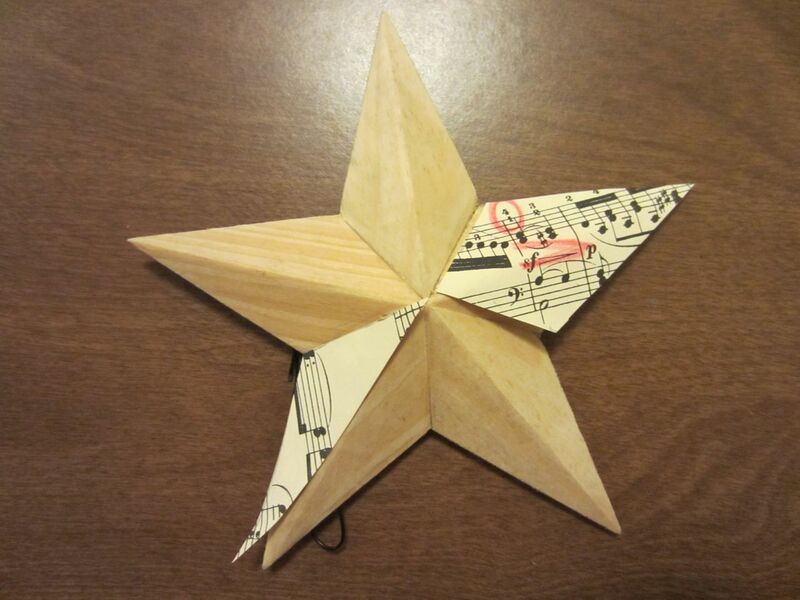 I bought this wooden star for a few bucks and let my imagination take over. 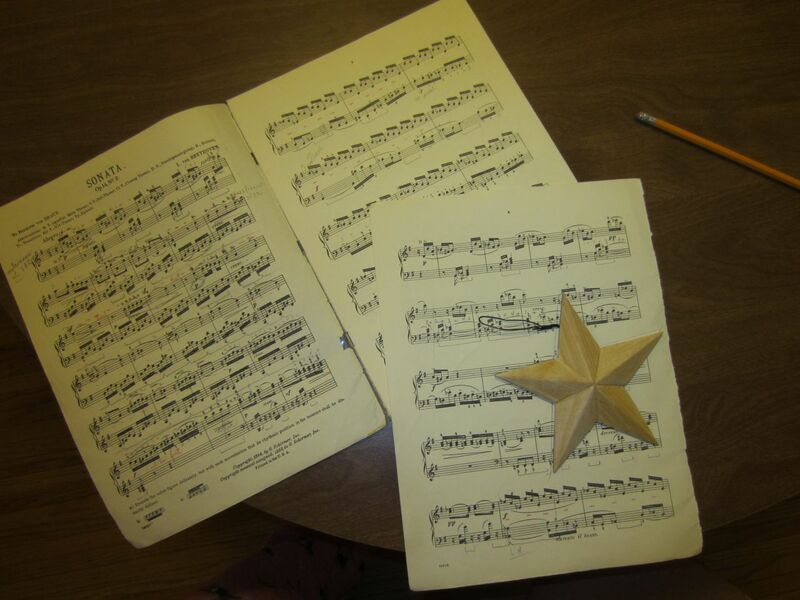 I knew I wanted to decorate it with sheet music, so I traced the star on some old piano music of my mom’s that I’m not skilled enough to play, and cut out 2 pieces for 2 points of the star. 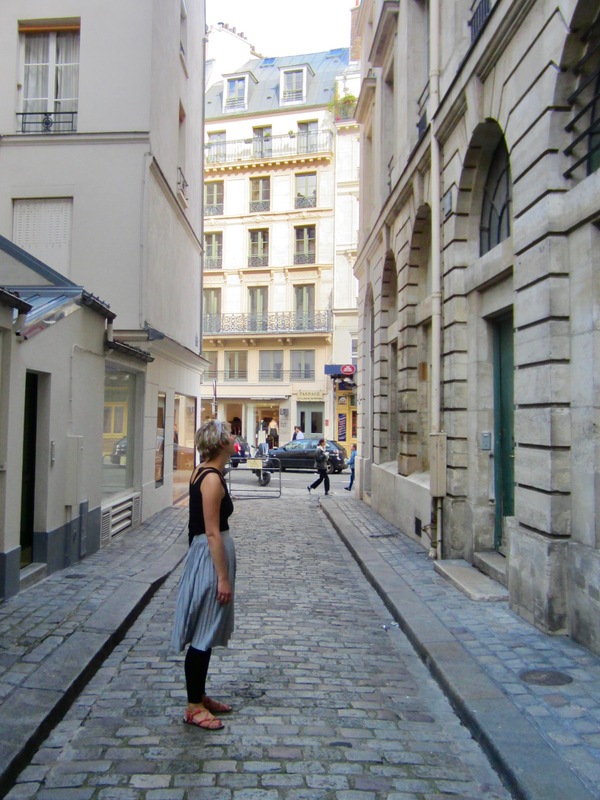 I’m all about assymetry. I definitely wanted to keep that red pencil crayon where a teacher had marked the decrescendo. It adds that much more character, don’t you think? 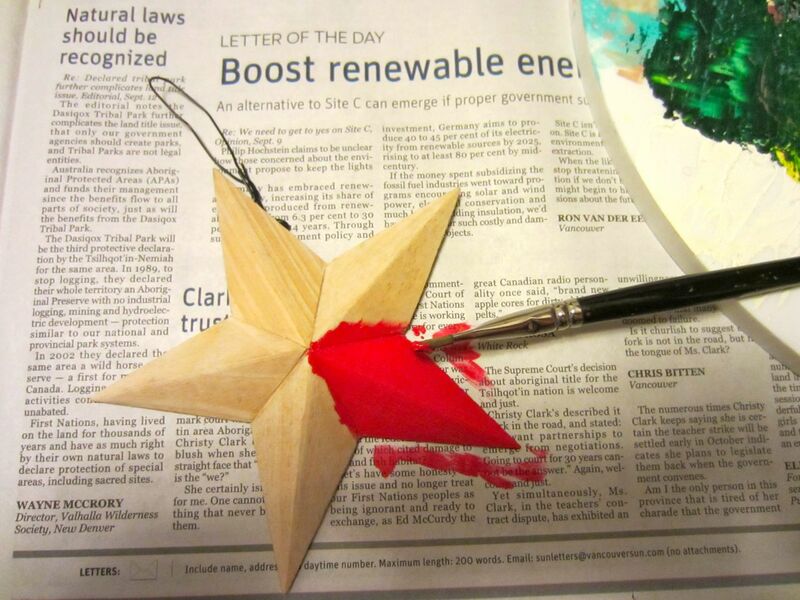 Before gluing the pieces down, I made the star pop with bright red paint. 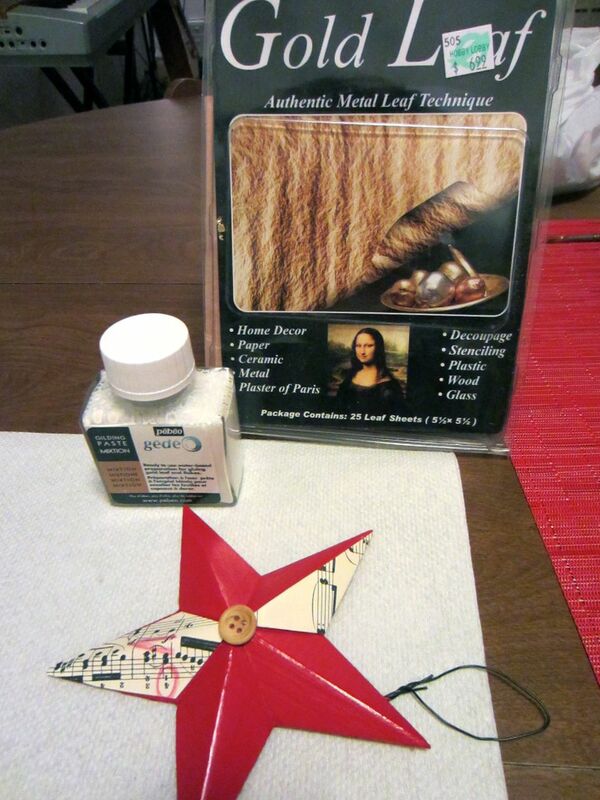 Then I glued the pieces down and added a button in the middle, referencing my old-school hobby of sewing. But I wasn’t completely satisfied. My star was missing something. Something to give it that extra sparkle. It needed some gold. So I asked the Artist, of course. He suggested using something called gold leaf instead of gold paint, which he just happened to have in his repertoire of art supplies. 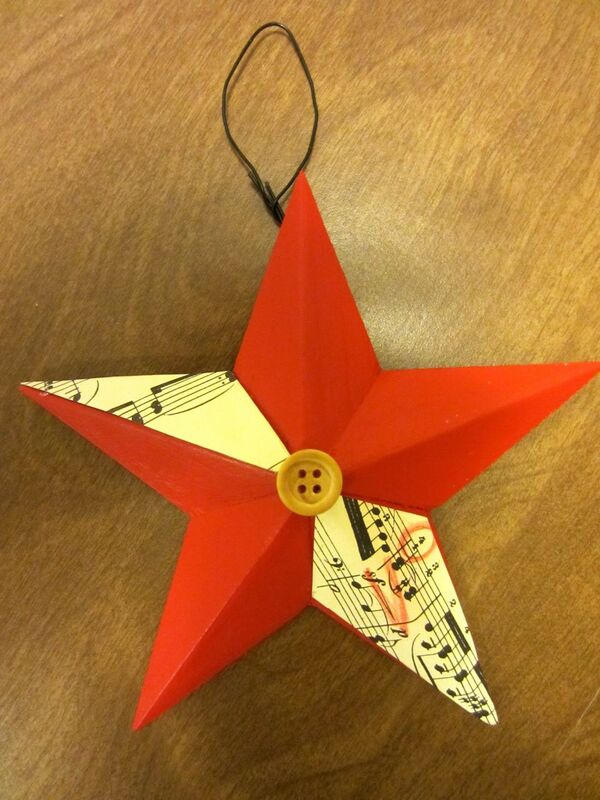 And so we had a Christmas crafting date. If you’re wondering what gold leaf is, don’t worry, you’re not alone. I learned that it’s very thin paper that sticks like paint, but it’s not paint. 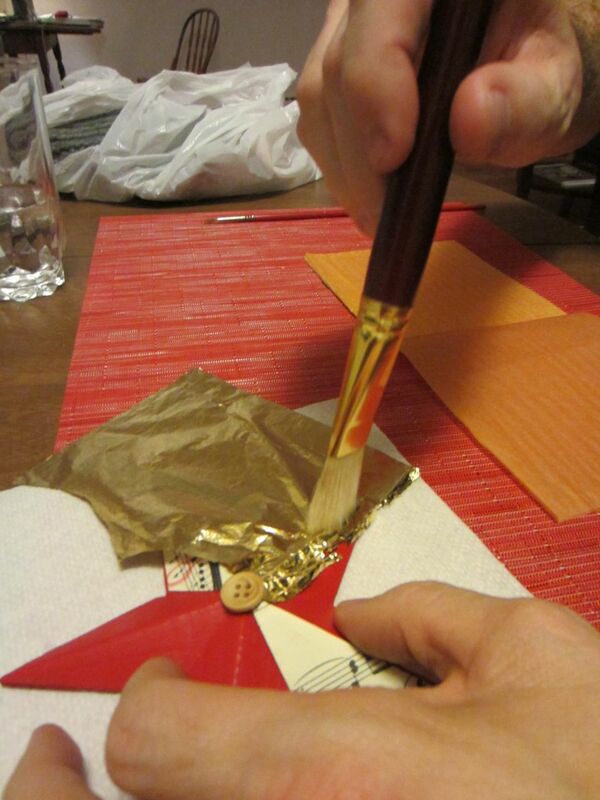 You apply the glue (see photo above) with a paintbrush to the areas you want the gold leaf to stick, and then you let it dry for 10-15 minutes because you want it to be just sticky-enough for the paper to stick, but not overly wet that the paper gets soggy. Here’s the best part: taking the tissue paper-thin leaf sheets out of the package, being careful not to blow, breathe, sneeze, or do anything that would risk creasing, tearing, or destroying it (and it doesn’t take much!) This is the most fragile material I’ve ever worked with. We placed the paper on top of the glue and used a paintbrush to seal it along the ridge. Once the glue was all covered, we peeled away the excess paper, again using a paintbrush to sweep the remaining flecks & fragments away. And voilà! It’s sealed on there like paint. 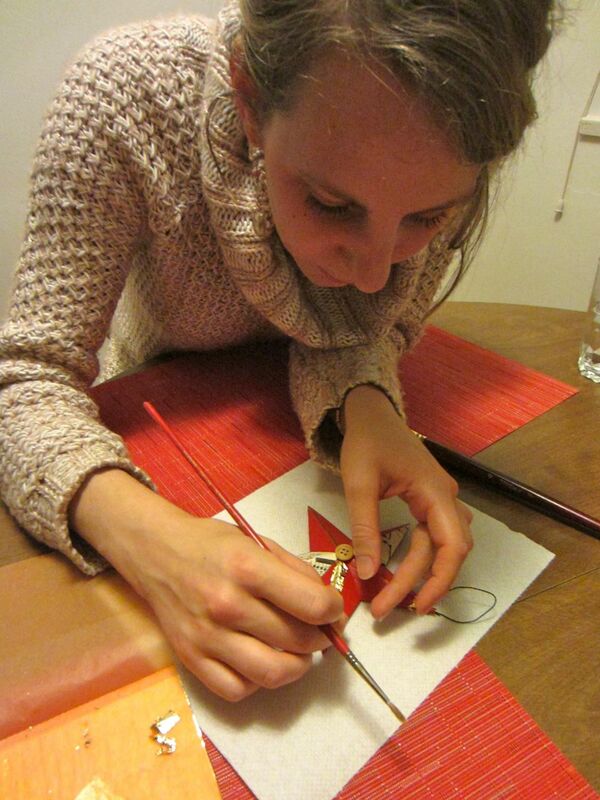 The beauty (and frustration) with gold leaf is that it’s not neat & precise. It has that frayed-edge look, but I actually quite like it. And I think the gold gives it that extra something, wouldn’t you agree? Now it just needs to a tree to hang from! 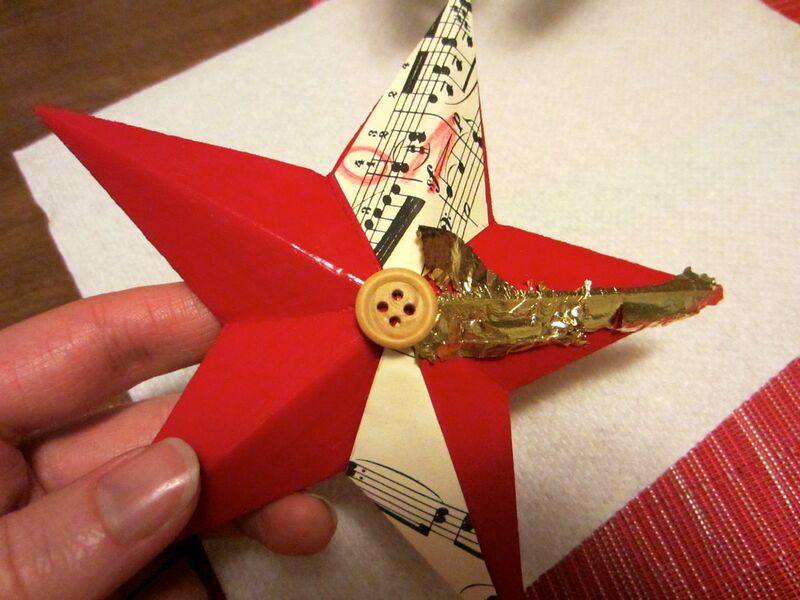 What are your favourite DIY Christmas crafts, ones you’ve done or ones you’d like to try?